didn't realize this, and that it wouldn't come up? Or was there an explicit rationale behind hiding this fact from Luke? Wouldn't it seem risky to send Luke in blind, with the chance of him finding out without their support, considering how emotional attachment can be a door into the Dark Side? If either Obi-Wan or Yoda had told Luke the truth, then Luke would likely have sought out Vader at the first opportunity. OBI-WAN: This lightsaber belonged to your father, Lord Vader. LUKE: Wait. Back up. My father is who? LUKE: Say what?? That creepy evil guy? You're joking! OBI-WAN: Nope. Dead serious. The infamous Darth Vader who has captured your holographic princess...he's your dad. For realz. LUKE: You're wrecking my head. This is insane! OBI-WAN: Another thing: that princess is your sister. Let's go save her, shall we? LUKE: Dad, why did you kill Obi-Wan?! He was my friend!! At that point, either Luke ends up on the Dark Side or dead, depending on how the father-son bonding goes. The point is, had he known the truth, Luke would have sought Vader out too early, before his training was complete, and this would have only had negative consequences for Luke and the galaxy-at-large. YODA: Your father, he is. Told you, did he? YODA: Unexpected, this is, and unfortunate. LUKE: Unfortunate that I know the truth? YODA: No. Unfortunate that you rushed to face him. That incomplete, was your training. That not ready for the burden, were you. In other words, they would have told him eventually, but at a suitable time, when they could be more certain that he had the training and maturity to avoid his father's fate. If Luke is informed as to his father being the great bad Lord Vader, then the plot as it is, and the revelation at a dramatic time, etc. is derailed, in any one of various ways (as the previous answer has already explained). If he's my Dad, then why don't we go seek help from him, since I'm his son? Shut up Luke. You should really know better, by now. Mess with plot, will you? consequences there are, author might kill you off. This must be a really bad man, to have neglected and abandoned me for so long. This confirms that we must oppose him completely and in every way. and so forth. Having (1) and (2) known to all members of the plot early on, would take that much away. There does not appear to be a canon answer. However, one may extrapolate from the way the Jedi approach problems. Luke is constant being advised to feel the Force. These feelings can be easily clouded by thoughts (many characters are advised to "empty their mind" when they are having trouble using the force). 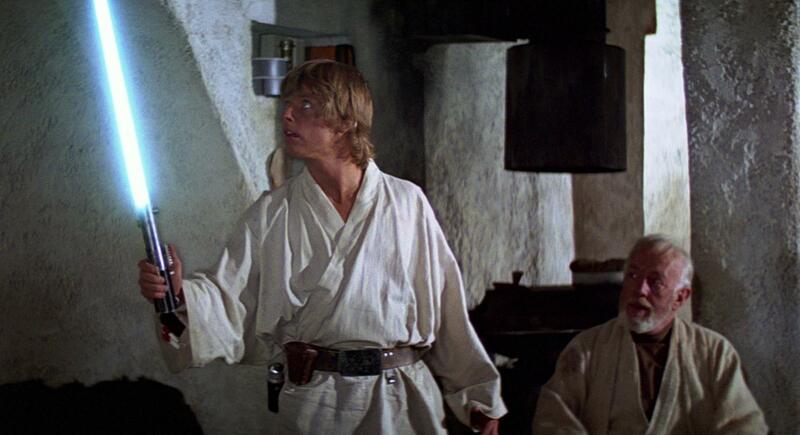 It would be reasonable to assume Yoda and Obi Wan felt such a significant piece of knowledge would cloud Luke's ability to feel the Force around him, making him weak. And, as Praxis pointed out, such knowledge is not one that one empties from their mind easily. They wanted to keep Vader from finding out, remember the children were hidden from him. 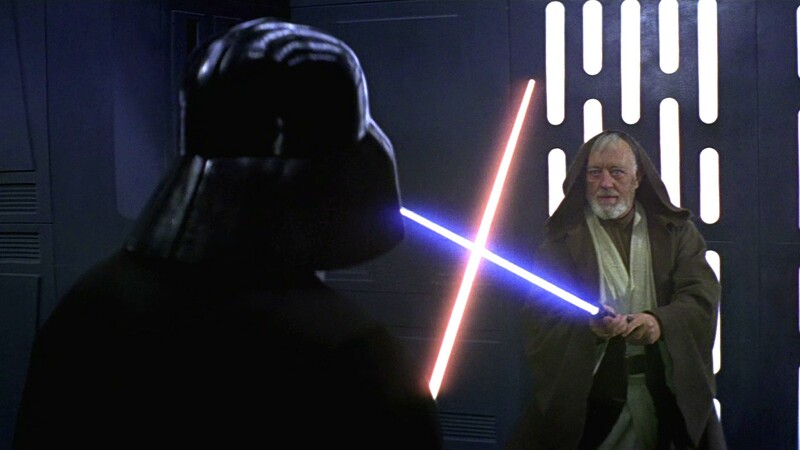 Luke was not yet able to control the force or his emotions so if (and when) he broadcast the information through the force and Vader would (and did) identify them. Luke knowing was not the issue, Vader knowing was the issue. They, themselves, didn't know how the Force was going to be balanced, so they could not interfere in such a way. The Force must be balanced in both its dark aspects and its light aspects. You'll note that Yoda respects it. Once Luke had referred to Ben by his Jedi name (Obi-Wan), Luke was seen as a sort of "chosen One". You can see it by the look on the old man's face. After that, Obi-Wan's journey was also part of that balance (Annakin/Vader was his apprentice) and could not interfere on the question. Not the answer you're looking for? Browse other questions tagged star-wars darth-vader luke-skywalker or ask your own question. Why didn't Obi Wan tell Luke that this character is his father? Why didn't Obi-Wan and Yoda train Luke from a young age? Why Did Sidious Tell Vader Who Luke Was? Did Yoda and Obi-Wan really plan for Luke to defeat Palpatine in battle?